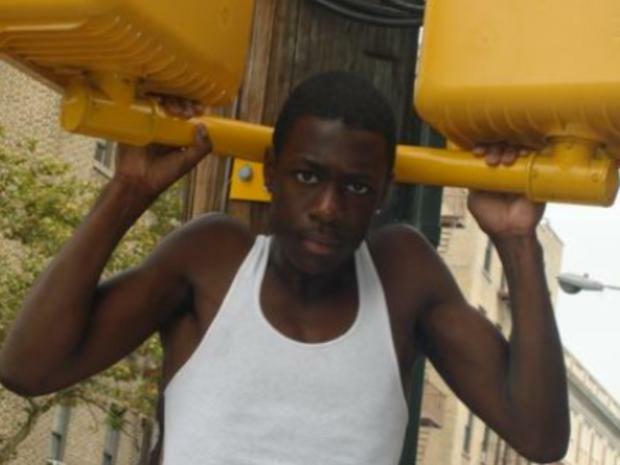 MANHATTAN — The family of Ramarley Graham, the unarmed Bronx teenager gunned down in his home in a police shooting that shocked the city, has rebuffed an invitation to meet with a "concerned" Police Commissioner Raymond Kelly, DNAinfo has learned. Kelly's representatives extended the olive branch to people close to Graham's family — including the Rev. Al Sharpton, 100 Blacks in Law Enforcement, Rev. Vernon Williams and the family's lawyer — after the commissioner received a detailed account of the sequence of events that ended with the 18-year-old shot dead in the bathroom of his family’s East 229th Street apartment by a narcotics cop. However at a 47th Precinct community council meeting Wednesday night, Graham's mother, Constance Malcom, said that Kelly and Mayor Michael Bloomberg "didn't reach out" to her and asked "Where's Bloomberg?" "The police officer is still working," she later told reporters. "He should be charged." Sources said Kelly was planning to go to the meeting to express his regret at the loss of life, but was unable to attend because the grandmother of a member of his security detail, Det. Louis Camacho, was hit in the face by a stray bullet in her East New York home. She was rushed to the hospital with non life-threatening injuries. The officer who shot Graham, Richard Haste, 30, has been stripped of his gun and badge. Sources say he was working in a Bronx Street Narcotics Unit (SNU), has been on the force six years and is described as extremely aggressive. Also stripped of his badge and gun was Sgt. Scott Morris, who was in charge of the SNU team. Morris could face departmental charges of failing to supervise his team and allowing them to sidestep protocols in the deadly incident. Officers could have waited for backup that might have prevented the shooting, which occurred in front of Graham's grandmother. The incident has evoked memories of the 1999 police killing of unarmed African immigrant Amadou Diallo and sparked several protests against the police. Sources provided "On the Inside" with new details about the investigation. The shooting followed a NYPD investigation of street corner pot dealing in the Wakefield neighborhood where Graham lived last Thursday. Two SNU “spotters” were conducting surveillance on a bodega where Graham and two other men were hanging out. They said Graham emerged and tugged at his waistband, which led them to mistakenly report he may have had a weapon. They followed the trio and claimed that Graham started to run from them, a fact that was later retracted by police after they viewed security video that showed Graham simply walking into his home. The footage then shows cops with guns drawn trying to kick open the building's locked door. They eventually were forced to enlist tenants to allow them in. By then, Morris and a fourth cop joined them. Rather than waiting for more backup to surround the apartment building, they headed up to the Graham’s second-floor apartment, where they banged on the door. Graham’s grandmother opened it. Haste and his partner quickly moved into flat. They saw Graham dash to the bathroom, where he allegedly tried to flush a small bag of marijuana down the toilet. Haste, who was now standing outside the bathroom in the hallway, allegedly yelled, “Show me your hands” and “Gun, Gun” before firing one shot, striking Graham in the upper chest. There was no confrontation or struggle between Graham and Haste, contrary to initial reports. And a search of the apartment failed to turn up any weapons. Graham’s grandmother, meanwhile, was taken to the station house and questioned for several hours, a decision that further fueled neighborhood anger. "This was obviously a very traumatic situation for the grandmother," Kelly said last week. It was the third time in two weeks that police had fatally shot a suspect. As his family mourned his death, civic leaders continued to try to raise money to pay for Graham’s funeral. Calls to the Graham family's lawyer were not immediately returned.